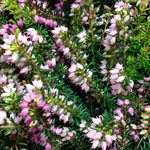 Erica (Heather) Darleyensis Darley Dale is a great alternative to Heather (Calluna Vulgaris). 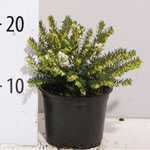 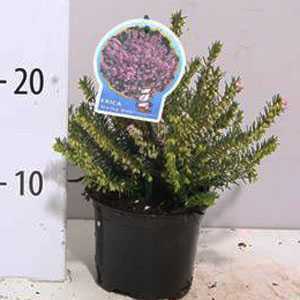 It is a dwarf evergreen shrub that has needle like foliage and attractive pink racemes of flowers throughout the winter. 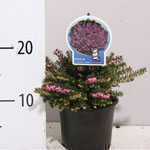 If planted in a large group they will provide you with a stunning show of colour. It is a great alternative to Heather (Calluna Vulgaris) because it does not require the acidic soil.